Th two most important things to a modern camper? Yep, it's food and Twitter. If you want to cook some food you'll need a stove of some description, and if you want to keep your phone juiced up, you'll need a portable battery. But, unlike the stove which should last you your whole trip, that battery will probably give up the ghost after a day or so. The solution? Combine your stove and your battery. We check out the Tegstove. Here is your headline: the Tegstove from Togology is a portable camping stove that runs from small cans of butane. It also features a battery which, using a Thermo-Electric Generator (TEG), makes electricity and stores it, allowing you plug in your phone, GPS, tablet, camera, SatNav... anything that gets power from a USB, in fact. 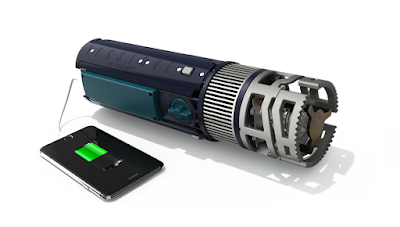 So, in essence, you have here a portable battery that constantly gets recharged each time you light the stove. The device itself is very clever in that it is surprisingly compact. 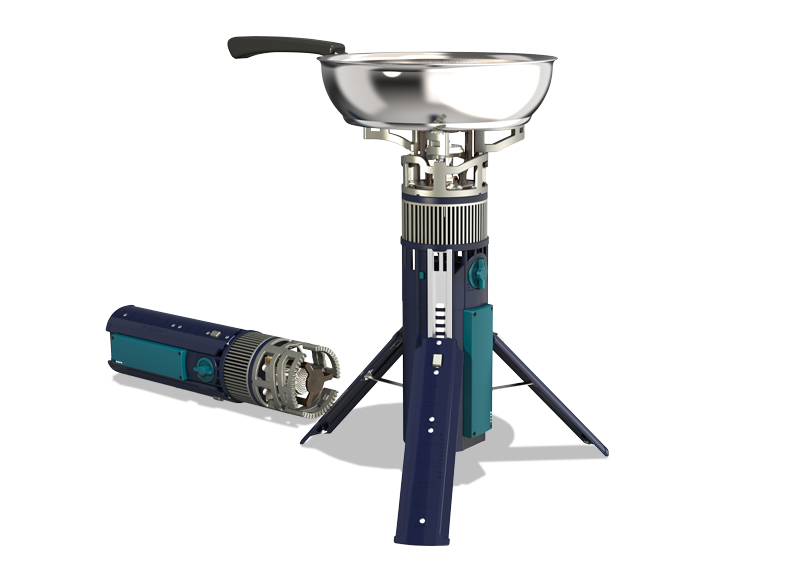 Three legs extend to form a stable tripod, while the burner end folds out to support your pots and pans. We were at first at little reticent to place a pot with food and water on top, as it does appear to be far taller than other portable stoves. However, the legs open up to about 40cm of width, so it is very stable, especially when placed on the ground. It takes a standard EN417 butane gas canister which are available from pretty much any camping and outdoors store, and are small and light to pack a couple with you easily. The can slides into from the bottom of the Tegstove and twists to lock. 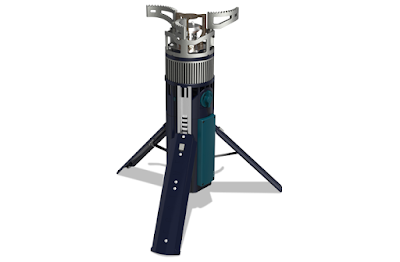 Butane is cheaper than a mixed gas bottle, and the Tegstove uses a self generating system to warm the can, making the flow of gas stable and reliant. We certainly never had any bother with the one we tried it with. So, your gas is in, the Tegstove is set up, and your flame is burning away under your dinner... how do you charge your phone to tweet a pic of your camping adventure? The side of the stove features a slim bump which, on the underside, has a standard USB and Micro USB port. Here you can plug in pretty much anything you'd like to receive a charge. The battery seems to work just like any other portable battery, and the flow of charge to the devices we tested it on was always constant. What is great is that you don't have to cook to charge; the battery, once it has energy, can be used when the stove is switcher off and packed up, so great for charging your phone while you sleep, after a hearty cooking session. We found it was also handy to be able to charge a device like a GPS locator while walking around and trekking; certainly the Tegstove is light enough at 1.4kg to pop in your pack without too much bother. We genuinely love this thing, as we like anything that can combine two camping essentials into one gadget without reducing the effectiveness of both tasks. The Tegstove provides a stable and hot flame using the far cheaper butane gas, while also ticking the box of every social media obsessed camper.